Due to the newness of the law, and the fact that Illinois family courts have never addressed these issues before, there are far more questions than answers at this point in time. This post will outline some of those questions, and suggest where courts may look for guidance. First, the new statute requires a multi-step analysis. Specifically, the court must first find that the animal is a “marital asset.” If the animal is not a marital asset, Section 503(n) does not apply. Generally, a marital asset is generally anything that was acquired during the marriage, unless it falls under one of the statutory exemptions, such as property acquired by gift, inheritance, property excluded by premarital agreement, etc. Once it has been established that the companion animal is a “marital asset,” under the statute, the court then shall allocate ownership and responsibility of the companion animal. The question of “ownership” is less straightforward than it would seem. Typically, property in a divorce context is assigned to one spouse or the other. Section 503(n) explicitly allows for joint ownership. That raises potentially fascinating questions that haven’t been answered yet. What if the court awards joint ownership, and one of the spouses dies? Does ownership of his or her “half” of the pet pass to heirs at law or legatees under a will, as it would if an asset had been titled in tenancy in common? Or does ownership of the pet automatically vest fully in the surviving former spouse by operation of law, such as in a joint tenancy scenario? Will there be title documents to establish ownership of a pet, like for vehicles and real estate? The other aspect of 503(n) concerns “responsibility” for the pet. It goes without saying that it implies financial responsibility. It also implies responsibility for the animal’s care. While the statute doesn’t explicitly say so, it’s natural to assume that means arrangements similar to those for parenting time with children, in which each “parent” has the children on certain dates and times. In that context, when a court in Illinois makes determinations about parenting time for children, the court considers the “best interest of the child,” which is a multi-factor test of criteria the court considers in arriving at a decision regarding a parenting time schedule and allocation of parental decision-making. Will responsibility for a companion animal include something akin to child support? 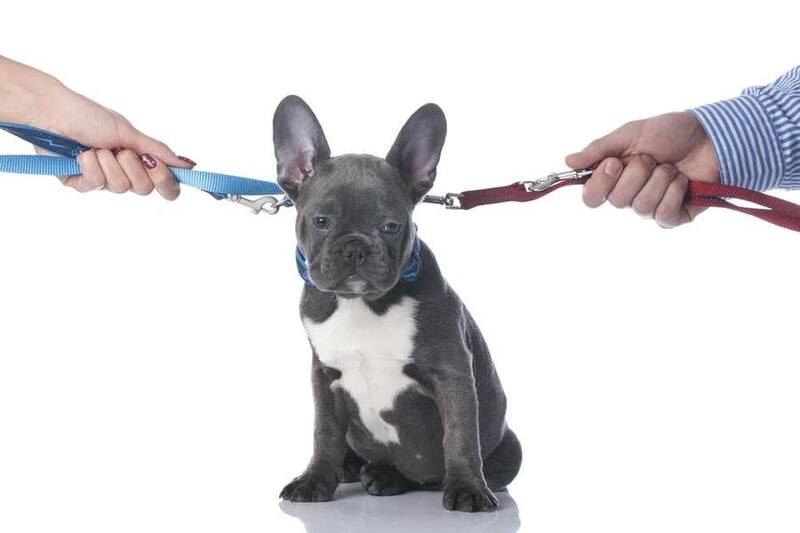 If spouses are awarded joint responsibility for a pet, what happens when they disagree? For example, what if a pet requires an expensive surgery? Will courts require that both parties agree that undergoing surgery is in the pet’s best interest? If one party goes ahead and elects the surgery without the other party’s consent, how with the court allocate the costs? How will courts determine “parenting time” of the companion animal? The new requirements of the statute require the court to take into consideration the “well-being” of the companion animal. There is no defined list of factors expressed in the statute as to what the court may consider in determining the well-being of the companion animal. Will courts weigh the same factors involved in determining what arrangement is in the best interest of the child? What if one party was a stay at home parent and took care of the pet while the other was at work? Will the court consider which party had caretaking responsibilities of the pet in the past, or the living situation of each party post-decree? If the pet lived in the marital residence for its entire life and said marital residence is awarded to one party, does that mean that the pet’s well-being is better served by remaining in the place where the pet lived? Another fascinating set of questions arise regarding what happens if ownership and responsibility for a companion animal are in dispute. In the context of children, if parents fail to agree on a schedule, the court frequently appoints a Guardian ad Litem to conduct an investigation and deliver a recommendation as to what parenting time schedule and allocation of parental responsibilities would be in the best interest of the child. If the parties are unable to agree on allocation of ownership or responsibilities for a companion animal, will the court appoint the equivalent of a Guardian ad Litem to recommend an allocation of ownership? Over the course of time, courts will make decisions regarding these issues, and through trial and error, customary practices and precedent will emerge. Once they do, attorneys will be in a much better position to provide guidance based on experience rather than theoretical speculation.